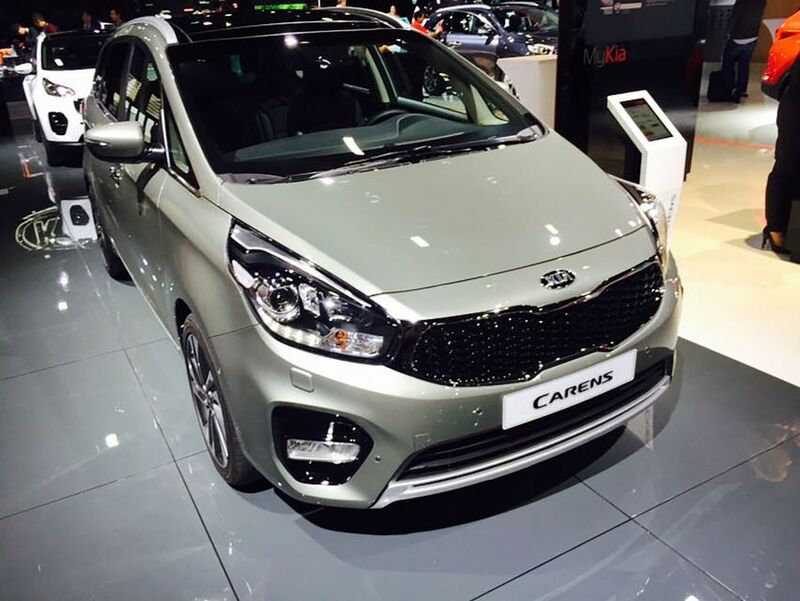 Kia has announced several updates to its Soul and Carens models at the Paris Motor Show this week. To the Soul, Kia has added a new 1.6-litre turbocharged petrol engine with 201bhp, paired with a seven-speed dual-clutch automatic gearbox. Drivers can switch between normal, eco, and sport modes, which adjusts the steering depending on preference and driving conditions. With this new engine, which has been available in the Ceed and Pro Ceed GT models, the updated Soul can now achieve 0-62mph in 7.5 seconds, and a top speed of 122mph, with claimed CO2 emissions of 156g/km. To distinguish itself from the rest of the range, the faster Soul has a new front bumper and grille, with two exhaust pipes, some colour detailing, and 18-inch alloy wheels. On the interior, the Soul is fitted with cloth and leather upholstery with orange stitching, along with some other orange highlights. There’s the option to go with either a 5.0-, 7.0-, or 8.0-inch touchscreen system, with Apple CarPlay and Android Auto, along with a USB port in the rear seats, parking camera, fully adjustable front passenger seat, blind spot detection, and rear cross traffic alert available. The rest of the Soul range also has new front and rear bumpers, along with an updated grille, new fog lights and reflectors. On the interior there’s new gloss black detail on the dashboard. The updated Soul will be on sale in the UK later in 2016. 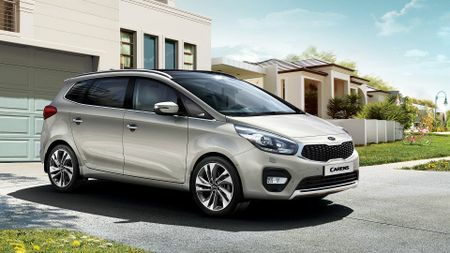 Kia has also updated the Carens MPV, with changes to the exterior and the addition of some extra kit. 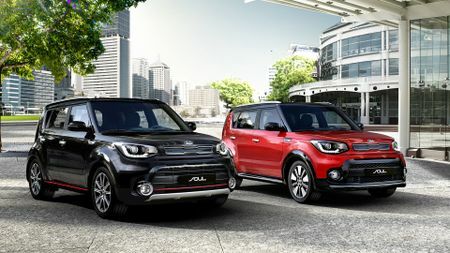 Bumpers, fog lights and the grille have all been updated, like on the Soul, and Kia has added new rear lights, new alloy wheel designs, and a new paint option (mysterious blue). On the interior, seats can be finished in cloth or leather, and there’s the option of a new carbon-effect dashboard. There’s a 7.0- or 8.0-inch touchscreen with sat-nav, along with Apple CarPlay and Android Auto, and there’s a new sound system. For the environment conscious, you can add an ‘eco pack’ to the 1.7-litre diesel engine, which adds stop-start technology, updated gear ratios, and low rolling resistance tyres. The updated Carens will be available at the end of 2016.